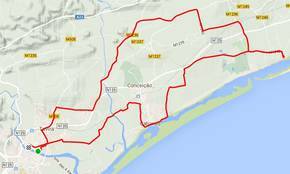 An excellent tour Ecovia, to enjoy great scenery and environment. 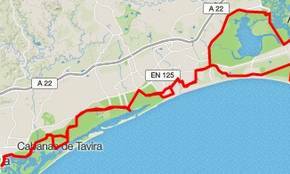 Starts with the Abilio Bikes ride towards East to the Litoral Ecovia. 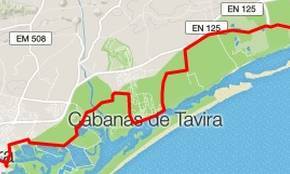 Starts with the Abilio Bikes towards East where will go the Eco-via the coast through Cabanas de Tavira, Cacela Velha, Manta Rota, Altura, Monte Gordo, VRSA, Castro Marim and return.